Need to see your data in a different format? 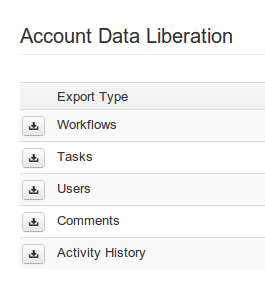 From Workflows, tasks, comments to audit logs, export your complete data set to excel. We make it easy for you to pull your data out of Flowmingo. 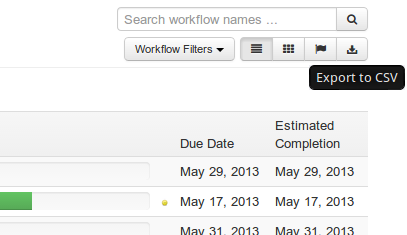 You can pull down workflow and task data for offline reporting or further analysis.